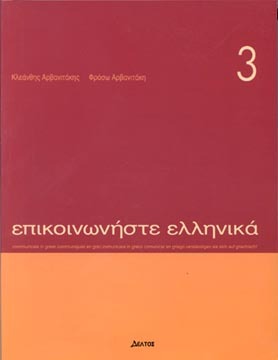 Epikoinoniste Ellinika is a complete course which systematically takes adult learners of Modern Greek from beginner through to post intermediate level, and covers 250-270 contact hours. IThe material follow an interesting, lively and thorough approach to Greek as it is spoken and written today. It is indicated for class as for individual courses. Each level textbook is accopagnied by exercices book and audio CD/cassette (sold separately) .